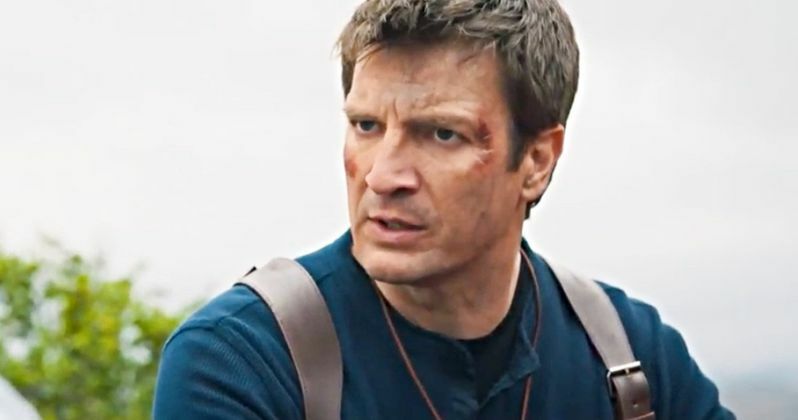 For years, fans have been calling for Firefly and Castle star Nathan Fillion to take on the role of adventurer Nathan Drake in an Uncharted movie. Sony decided not to answer those fan cries, but Nathan Fillion heard you loud and clear and took it upon himself to deliver the goods. Fillion, along with director Allan Ungar, has just released an absolutely awesome Uncharted fan movie that could potentially rival anything Sony actually has in the works. Fillion had this to say about the movie in an Instagram post. "This is something I've wanted to do, but more importantly, something I've wanted to see for a long time. If you've ever pinned a towel around your neck for a cape, or donned a fedora and nearly put your eye out with a homemade whip, this is for you. Thank you, @allanungar, for letting us all scratch this itch. Thank you, @naughty_dog_inc, for creating such a wonderful archetype. Thank you fans, for your excellent taste. You know who you are. Enjoy. Link in my bio. #uncharted"
The actor cryptically teased something Uncharted-related may be in the works last week by posting a picture of the rapper Drake. Then, he posted an image of a map with the date 7/16/18 on it. We now know why. In the video, we start off on the Baja Peninsula in Mexico. Nathan Drake is pulled out of the back of an SUV and taken into a mansion by some thugs. The lead thug responsible for his capture begins listing off Drake's accomplishments and it's at this point that Nathan Fillion reveals his pitch-perfect take on the character. Not long after, Stephen Lang (Avatar) pops up as Sullivan. Again, a pitch-perfect take. There's a fist fight that breaks out once Drake frees himself from his captors and, before turning into an awesome shootout, we get to see the adventurer putting his brain to use unraveling a mystery and uncovering some clues to a hidden treasure. Literally everything one might want in an Uncharted movie is here. As presented, this would almost work as a cold open of sorts to an actual Uncharted movie. As amazing as this is, things do get a little too ham-fisted and corny at times, but that's a small price to pay for the excellence that exists here. And how knows what could be done with a big budget, this cast and the resources of a big studio put behind it. How has this movie not been made yet? Sony has had an actual Uncharted movie in development for years. They have signed Spider-Man: Homecoming star Tom Holland on to play Nathan Drake, which is obviously a very different way to go with it. They're going to go the prequel route in the hopes of getting to turn this into a franchise with Holland as the star for years to come. The business side of that makes sense, sure. But after seeing this, it seems like the wrong decision. Nathan Fillion is 47-years-old. He's spry for his age, no doubt, but he won't be able to do this kind of thing forever. If Sony were smart, they would lock him down for an Uncharted movie right now and do this while they still can. They could always circle back to the prequel movies later, which might actually make sense after seeing some adventures with a fully formed Nathan Drake. That probably won't happen, but this short makes a strong case for why it should happen. Be sure to check the Uncharted short, courtesy of Allan Ungar's YouTube channel, for yourself below.